A public participation work, consisting of a block of digitally printed Staffordshire bone china mugs, grouped in regimented columns as they would be placed in the kiln for firing. 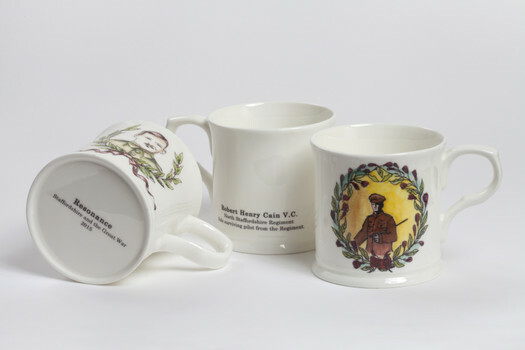 Each of the mugs was decorated with a portrait image and printed text, made during public workshops at the 'Resonance' exhibition venues, collectively commemorating the relatives of workshop participants. The installation evolved during the tour, with initial blank mugs replaced by decorated ones as more workshop sessions were completed.